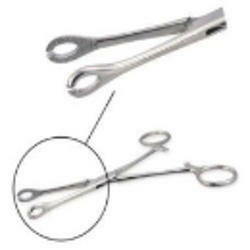 Our product range includes a wide range of 8pc-stainless steel piercing tool kit, piercing gun, piercing kit, eyebrow forceps piercing, pipe forceps piercing and septum forceps piercing. by keeping track with market development, we are engaged in offering a supreme quality range of 8pc stainless steel piercing tool kit. 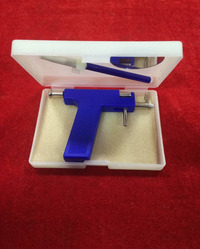 These offered piercing tool kit are manufactured by using finest grade raw material and modernized technology in compliance with international quality norms and guidelines. 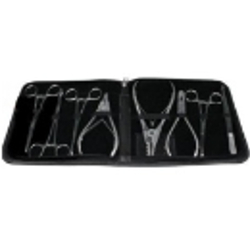 In addition to this, these piercing tool kit are highly acknowledged in the market for their longer working life and reliability. now cash on delivery also available in mumbai tattoo supply. Place a piercing stud in the ADAPTER hole. Pull back the TENSION REGULATOR. Pull the TRIGGER, the aiming slot is used as a guide for aim; please make sure the point of the stud is straight going to the aiming slot.Press FIRE, forcing the stud through the flesh. Please note that DealExtreme Forums are not a sales or product support board. For support questions, please contact us via support ticket a for a guaranteed response. We make every effort to make the quickest replies. The way they work are fairly simple: with an earring stud in place in the adapter, and a backing in the cradle, the tension regulator is pulled back or "cocked", the point of the stud is used as a guide for aim and the trigger is pulled, press "FIRE", forcing the stud through the flesh this solid iron ear piercing gun with 24pcs piercing studs (Please see the picture). 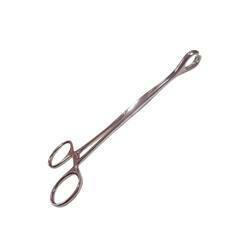 The most popular ear piercing instrument, it is commonly used by many ear piercing salons in America, UK and China. Place a piercing stud in the ADAPTER hole. Pull back the TENSION REGULATOR. Pull the TRIGGER, the aiming slot is used as a guide for aim; please make sure the point of the stud is straight going to the aiming slot. Press FIRE, forcing the stud through the flesh. 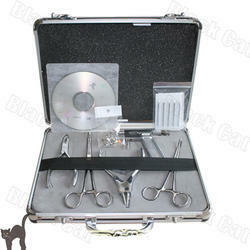 By keeping track with market development, we are engaged in offering a supreme quality range of Piercing Tool Kit. 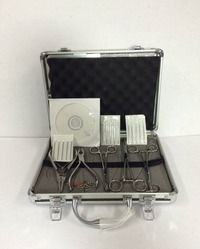 These offered piercing tool kit are manufactured by using finest grade raw material and modernized technology in compliance with international quality norms and guidelines. 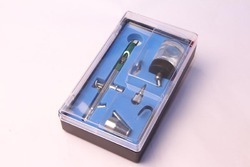 In addition to this, these piercing tool kit are highly acknowledged in the market for their longer working life and reliability. 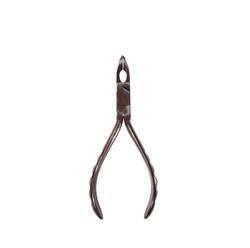 Pennington Slotted Forceps 6" long, This triangular-jaw forcep is the most commonly used tool in piercing. 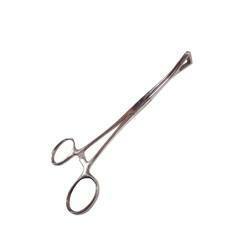 It is 6" long, Made with high grade Surgical 316L Stainless steel. 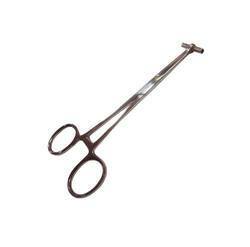 Slotted opening for clearing piercing needles. 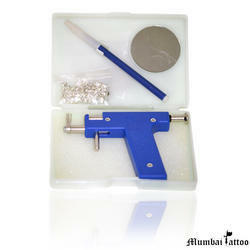 buy professional body- piercing kit in offer prices in Rs 4500/- only at mumbai tattoo. now cash on delivery also available in mumbai tattoo supply. 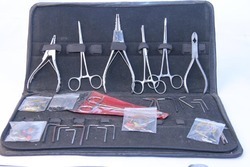 Looking for Piercing Kit ?